Welcome home to this beautiful 2 story home in OâFallonâs premier neighborhood, The Parcs at Arbor Green. The brick front & large front porch offer a welcoming curb appeal. The main level features a grand two story entry with access to the formal dining room. The modern kitchen boasts granite countertops, stainless appliances & is open to the breakfast area with access to the covered deck. The double sided fireplace creates a great sense of space in the family room. Upstairs, the master suite has to be seen to be believed with its large bedroom, luxurious bath with walk in shower & separate tub as well as a grand walk in closet - sure to please any fashionista! The additional bedrooms are generous in size & feature plenty of storage. The finished walkout basement features a recreation room with wet bar, as well as the 5th bedroom. 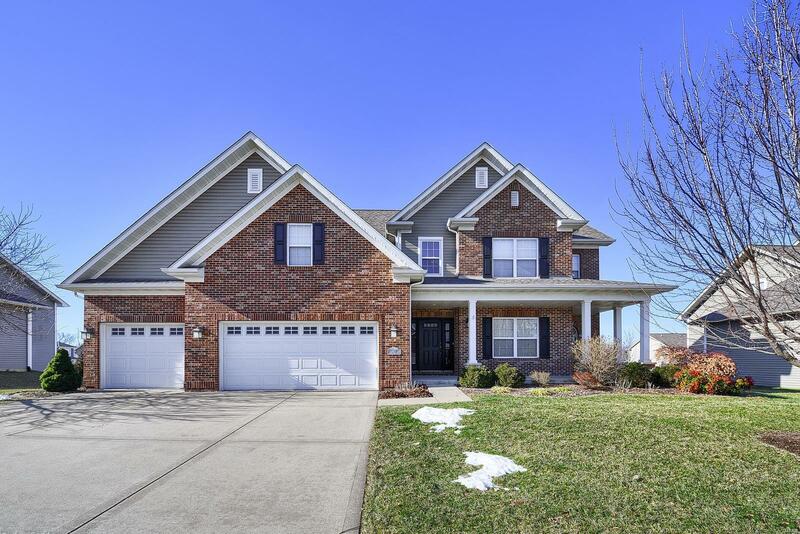 Situated just minutes from the popular OâFallon Sports Park, this neighborhood is close to Scott AFB, I-64, shopping, restaurants, & local entertainment.